1) A. Neonatal mortality rate- indian current status. B. Physical and metabolic properties, food sources of vitamin D.
2) A. Sources of health information for research. B. Tests of statistical significance. 3) A. Causes of metabolic acidosis and role of anion gap. B. Mechanism of phototheraphy in neonatal hyperbilirubinemia. 4) A. Approach to a child with suspected inborn error of metabolism. 5) A. Components of facility based newborn care. B. Triage of sick new born in SNCU. 6) A. Anatomy and function of nephron. B. Disorders of neuronal migration. 7) A. Safe injection practices. B. Principles of stem cell theraphy. 9) A. Components of Nutritional rehabilitation centre. 10) A. HPV vaccine current status . B. Patterns of genetic inheritance. 8) A. Complications and management of neonate born to mother with diabetes. B. Medical management of PDA. 10) A. 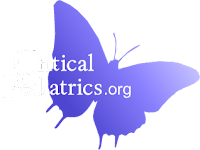 Recent RNTCP guidelines for pediatric TB. B. Management of fulminant hepatic failure. 1) A. X linked agamaglobulinemia. B. H1N1-Clinical features and management. 2) A. SLE- diagnostic criteria. B. HSP- clinical features and diagnosis. 3) A. Clinical features of juvenile dermatomyositis. B. Clinical features of acrodermatitis enteropathica. 5) A. Management of acute myocarditis. B. Causes of recurrent wheeze in children. 6) A. Infective endocarditis prophylaxis. B. Clinical features an diagnosis of portal hypertension. 7) A. Management of hyperkalemia. B. Treatment of Organophosphorus poisoning. 8) A. Diagnosis and management of Kawasaki disease. 9) A. Snake bite envenomation- clinical festures. B. Laboratory diagnosis of ricketsial infections. 10) A. Clinical features of tyrosinemiatype1. 1) A. Role of imunophenotyping in diagnosis of Acute leukemia. B. Indication for splenectomy in thalassemia. 2) A. Calcium regulation in humans. B. Anti cytokine drugs and their indications. 3) A. Recent advances in diagnosis of tuberculosis. 4) A. Treatmrent of steroid resistant Nephrotic syndrome. 5) A. Therapies for Spinal Muscular Atrophy. B. Diagnostic approach to precocious puberty in girls. B. Counselling in downs syndrome. 7) A. Recent advances in treatment of bronchiolitis. B. Treatment guidelines of neonate born to HIV+ mother. 8) A. Investigation and treatment of childhood vertigo. B. Approach to suspected immunodeficiency. Investigate. 9) A. Causes and pathophysiology of pancreatic enzyme insufficiency. B. Serological tests for celiac disesase. B. Evaluation and treatment of congenital hypothyroidism. 1) A. Mechanism of action of valproate as an anti-epileptic drug. 2) A. What are the usual patterns in haemoglobin electrophoresis in beta thalassemia syndromes? 3) A. Neural tube defects. 6) A. Measures of central tendency. 3) A. Describe various types of febrile seizures. B. Epilepsy syndrome with focal seizures (5). 1) A. Physiological function of Zinc in human body with special reference to immunity. B. Role of Zinc in treatment of pediatric diarrhea. 4) A. Physiology of acid base homeostasis. 5) A. Setting up of Special Care Newborn Unit in a district hospital. 10) A. Circulation of CSF. 1) A. Differential diagnosis of respiratory distress in a 6 hour old newborn infant. 2) A. Treatment modalities for retinopathy of prematurity. 6) A. Transfusion associated hepatitis – Diagnosis & management. 10) A. Steps in management of status epilepticus in children.